But Watson was no ordinary apologist for the plantocracy. Like his hero Thomas Jefferson, Watson was fascinated by the French Revolution and saw himself as a defender of the commonweal against aristocratic prerogative. 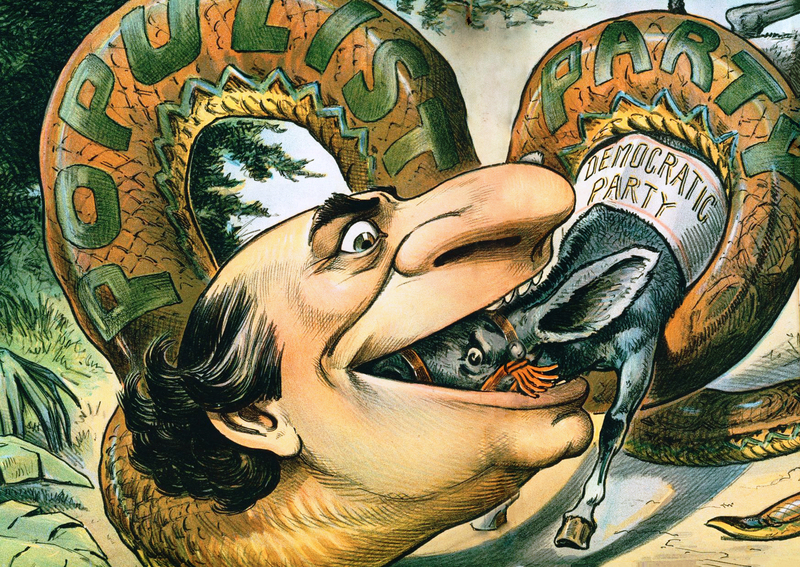 Although a proud Southern secessionist, he later abandoned the Democratic Party because of its collusion with the “moneyed interests” and joined the third-party crusade in the late 1880s. Yet even in the darkest days of his political career Watson showed flashes of his earlier radicalism. In the wake of Woodrow Wilson’s anti-communist witch hunt, Watson called Eugene V. Debs “one of the greatest, truest, purest Americans now alive.” He even voiced support for the Bolshevik government. To Watson, Wilson’s US war plans were a conspiracy “to prevent Russia from showing the world how a democracy may be established — thus setting a bad example that may ‘infect’ other submerged masses.” In a further twist, Watson defended Rosa Luxemburgand her comrades in the German Revolution, and opposed a bid by Henry Ford for the US Senate on the grounds of Ford’s antisemitism.